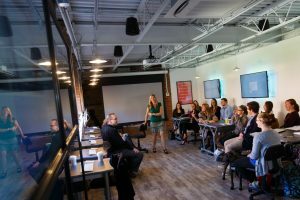 #theVIBE is a new and innovative social media center that will offer courses in Social Media Marketing, provide a space for students to explore the newest trends in social media and connect students with businesses looking to leverage social media. Students can get involved by joining #theVIBETRIBE, a group of student leaders building value in Centenary’s online community and further developing their own skills. Ambassadors play an essential role in the recruiting of new students to Centenary University. 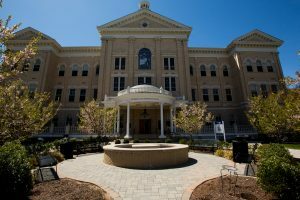 Working alongside an Admissions Counselor, the Ambassador will aid in many recruiting functions, including: speaking with prospective students, performing administrative tasks and assisting in the preparation of open houses and other events. Alpha Phi Delta is a National fraternity seeking men that are willing to better the Fraternity and also better themselves. Brothers of Alpha Phi Delta take pride in being a cyclone by giving back to their community. Being a brother of Alpha Phi Delta is not only for the university years but is for life. Alpha Theta Psi sorority is a new social sorority created with the purpose of providing a positive environment for university women of all backgrounds. ATP mission is to educate, encourage and empower women by teaching the importance of women's health, beauty, education and self-worth. Through community service and social events Alpha Theta Sorority is dedicated to creating a strong sisterhood while striving for high scholarly and ethical standards. Instead of the usual spring break routine in March, students can get off the beaten track and make their break matter by joining in on a unique volunteer project. Past projects have included but are not limited to: Jersey Shore clean up, helping at local farms where food is donated to neighborhood pantries, and assisting with inner city soup kitchens. Centenary’s goal is to maximize the human potential of our student-athletes through the principles of fair play, sportsmanship, personal health and well-being, and fair and equitable treatment. Our holistic approach stresses the fundamentals of the games we play as well as the values of responsibility, discipline, commitment, respect, teamwork, and community. Becca’s Closet, is named after Rebecca “Becca” Kirtman, a 16-year-old who passed away in an automobile accident in 2003. Becca launched a dress drive in her freshman year of high school in Davie, Fla., to provide prom dresses and accessories to high school girls who could not afford to purchase them. To keep Becca’s dream alive, countless dedicated people throughout the world have joined with her family and friends to provide opportunities for those who seek them. Centenary University is the only institution of higher education in New Jersey that runs a chapter. What started out as a class assignment has flourished into a campus organization of nearly 30 members with over 450 prom gowns in its collection. Tri-Beta, is an honor society designed for students interested inthe sciences who are dedicated to improving the understanding and appreciation of scientific research. Students who have become Tri-Beta members of Centenary University participate in field trips, research presentations, conferences, campus events and projects. The Campus Ministry program at Centenary is designed to work with all students regardless of their religious background. The program emphasizes cultural pluralism in an interfaith context. This program coordinates all Centenary ministry activities and provides students with off-campus activity information, including local places of worship. Programs, Bible Study and weekly worship are part of the campus ministry activities. The Centenary Dancers was formed to bring sprit and pride to the university and sports teams. The team offers an opportunity for new members to join twice a year and is constantly looking for diverse members to broaden the teams skill set. The team enjoys performing at sporting events, events for student activities and practices twice a week. Spin it up cyclones. Chi Alpha Epsilon was formed to recognize the academic achievements of students admitted to colleges and universities through non-traditional criteria or who utilize development and educational support services. Its purpose is to promote continued high academic standards, foster increased communication among its members, and honor the academic excellence of those students admitted via developmental/opportunity program pathways or Student Support Services. Chi Alpha Sigma is a national honor society that recognizes university student athletes who earn a varsity letter in at least one sport while maintaining a 3.4 or higher cumulative GPA throughout their junior and senior years. The goal of this society is to encourage and reward high academic scholarship of university athletes at four-year accredited colleges and universities. Community service is an integral part of student life at Centenary. As one of the first universities to require students to perform community service (10 hours for traditional students, 5 hours for transfers), we hope to empower each student with a strong sense of civic duty to their communities. We believe that service is a key component in the development of a responsible and caring global citizen. The community service department is a place where students can connect with a number of service opportunities on and off campus. All students, including commuters, are encouraged to take an active role in student life by joining student government, clubs, committees, activities, Greek Life, etc. Within Centenary University’s Student Government Association, is a Commuter Council that is dedicated to the improvement of commuter life on campus. Council members represent the commuter population and attend Senate meetings to voice their comments and concerns. The commuter council also participates in and hosts events that allow commuters to socialize and interact with other members of the Centenary community. The Council for Student Athletes, required by the NCAA, is a committee whose members are student-athletes representing their respective sports. The CSA serves as a liaison between the student-athletes and the Department of Athletics. CSA will foster an atmosphere of academic and personal achievement while promoting local community involvement through community service activities for student-athletes throughout the year. Centenary Cru is a club open to all students, staff, and faculty which meets weekly to have an in depth Bible study to learn more about God, His love for the people of the world, and so much more. A highlight includes the off campus event, Jersey Cru, where all college and university Cru chapters from New Jersey unite once a month. Through exciting activities, thought provoking discussions, and off campus events we will learn and grow with each other on our walks of faith while sharing God's love with others. Delta Alpha Pi was founded in 2004 at East Stroudsburg University by Dr. Edith Miller. There are now almost 90 chapters nationwide, including colleges such as Dartmouth, Clemson and Ohio State. One of the requirements is that students must be served bythe Disability Services Office and have contact with us. Qualifying undergraduate students must have 24 credits at Centenary and a 3.1 or above cumulative GPA. Graduate students must have 18 credits here and a 3.3 or above cumulative GPA. An organization with a long-standing commitment to using entrepreneurial action as a catalyst for progress, the ENACTUS name was chosen by abbreviating the core principles "Entrepreneurial Action Us." US - collection of people who see themselves connected in some important way; individuals that are part of a greater whole. The Centenary University Environmental Group is now the Evergreen Group. The goal of this organization is to create a sense of responsibility for our resources and our community. Through promotion of awareness and education of environmental issues, this organization seeks to establish Centenary University as an environmentally positive example for other colleges and universities as well as the state of New Jersey. We encourage involvement in the Centenary campus community and the public community surrounding Hackettstown. We offer educational programs on campus as well as local schools, maintain the community garden, organize environmental events, and develop and initiate programs to promote responsible use of the earth’s resources. If you are interested in watching and discussing films, you are encouraged to join the Film Club. We analyze films by looking at artistic merit and social significance. As a member of Film Club, you will be asked to stretch yourself beyond an average night at the movies and take an active role in discussions by expressing your views and suggesting future films. The First ladies’ goal is to help all women realize and reach their full potential by empowering, motivating, and encouraging them towards discovery, acceptance, and appreciation of one’s self. The group participates in many on campus events and also hosts events of their own. FYL’s are upper class students who have achieved academic success, demonstrated strong leadership abilities, and have gone through an intensive training process. They fill the roles of mentor, friend, and informative source for incoming students. The Golden Key International Honour Society is a collegiate interdisciplinary organization, which recognizes academic achievement among undergraduate and graduate students. Members of Golden Key frequently participate in community service projects and are offered leadership and networking opportunities. The mission of the Centenary University Gradate Counseling Society is to promote scholarship, research, professionalism, leadership, advocacy, and excellence across the graduate counseling and graduate psychology field, as well as to recognize high attainment in the pursuit of academic and clinical excellence in the field of counseling and psychology. The History Club was formed due to the high population of active students involved in our History degree, Education degree or students who just love History! The club discusses and studies past events as well as visiting historical sites. ISO provides support to all international students in the form of friendship, understanding and social support. They schedule trips and events and act as advocates for international students. The purpose of ISO is to facilitate communication between students from different cultural backgrounds. Intramurals are active student driven department where friendly competition and fun is a priority. 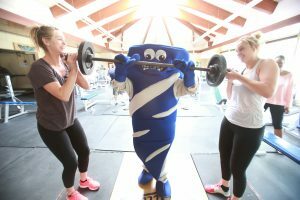 The activities are comprised of multiple indoor and outdoor leagues, fitness classes, tournaments, and off campus recreational trips. Intramurals is a great fit for anyone looking to create a balance between engagement, competition, and fun. Kappa Delta Epsilon is an honorary professional Education fraternity, the purpose of which is to promote the cause of education by fostering a spirit of fellowship, high standards of scholastic attainment and professional ideals among its members. KME is a specialized mathematics honor society, which was founded in 1931 to promote the interest of mathematics among undergraduate and graduate students. KME members are selected from students of mathematics and other closely related fields who have maintained standards of scholarship, have professional merit, and have attained academic distinction. A decade long Centenary tradition! Students sacrifice their Friday night to hand out clean clothing, freshly made food, and travel-sized toiletries to those in need. Volunteers meet to collect and organize food and clothing and then pull off in vans to distribute items throughout NYC. Scheduled runs are typically wait listed, so call soon for your chance to sign up. Omega Rho is a fraternity based on the ideal that brotherhood has no color. We are dedicated to educating, empowering, and developing the minds of young men while providing service to the Centenary University campus and the community of Hackettstown. Phi Alpha Theta is a professional society whose mission is to promote the study of history through the encouragement of research, good teaching, publication and the exchange of learning and ideas among historians. We seek to bring students, teachers and writers of history together for intellectual and social exchanges, which promote and assist historical research and publication by our members in a variety of ways. The student literary magazine and accompanying web-site publish students’ creative work. Students involved with PRISM frequently volunteer to assist with visiting author readings and book signings. The Prism Creative Writing Journal is a journal of college student creative writings. We accept submissions of poetry, prose, and creative non-fiction. Submissions are open to students in all New Jersey colleges and universities. The e-Prism Student Writing Web site accepts work in all genres as well as class projects and PowerPoint presentations. The Psi Chi chapter is open to psychology majors at Centenary University who have completed at least 12-credits (three courses) of the psychology major at Centenary University, have a major GPA of at least 3.33 (B+) and have an overall GPA of at least 3.33 (B+). At the national level, Psi Chi publishes newsletters and the Psi Chi Journal of Undergraduate Research, hosts national and regional conventions, and sponsors national award/grant competitions. Our Psychology Club organizes student activities, including movie nights, events and meetings about career opportunities. RW is a workshop designed for creative writing students as an opportunity to gather with other writers (both in a weekly meeting and online for those who are unable to attend). The workshop will be focused around simple, fun and creative writing prompts intended to encourage the movement of your pen or the typing of the keys on your keyboard. The workshop will also focus some of its energy on preparing and practicing for open mics, poetry readings, and any spoken word opportunities. We will be working together to build a writing community in which we can support each other, promote each other, and learn from each other. Resident Assistants take on a multitude of responsibilities including the coordination of effective hall programming on a monthly basis for the Centenary community. In addition, they are an available resource for their residents, serving as liaisons for Residence Life, and helping maintain policies in the residence halls. Finally, the RA will be “on duty” on a rotating schedule with other staff members in their hall and will help deal with emergency situations. 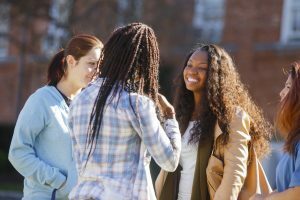 Second Year Peers, established to support the Sophomore Class, have services which assist students in finding their personal, social, and academic identity. Activities are centered around Transfer and Sophomore students and their needs. Our SYPs are friends, relatable, and eager to provide individualized attention. SYPs are always accessible whether you see them on campus or send them an email. Your SYPs are your guides for this period of self-exploration. Shes The First provides scholarships to girls in low-income countries, seeking out families who have yet to send a member of their family past secondary education and using these females to grow the next generation global leaders. community and to encourage interest in the field of English. We have coordinated special events from guest speakers to poetry slams to community service. Our Social Justice Book Club is intended to encourage continued learning on current and past issues of social justice and the impacts on communities. We aim to educate ourselves further on a wide variety of topics related to social issues and have meaningful discussions in a safe and open-minded atmosphere, as well as provide connections to different fields. After having a month to read a chosen book, we will have monthly meetings at the last week of the month to have an informed discussion about the meaningful takeaways, gained knowledge and overall opinion of the novel. The Sociology and Criminal Justice Club exchanges ideas related to sociology and criminal justice issues as well as instill professionalism. The organization provides information on internships, has guest speakers, sponsors field trips, does community service, and explores occupations within their field. SMA at Centenary University creates a professional environment for students through speaker sessions, community outreach events, workshops, and networking. The Sports Management Association provides members with resources to develop business relationships and to learn about different types of managing career paths. We strive to create a professional organization that enhances the experiences that are being taught in our classrooms. The Student Government Association (SGA) is the representative organization for students at Centenary University. SGA works actively to help students achieve a better quality university experience by listening to what they want or have concerns about. After identifying an area for improvement or need, SGA brainstorms possible solutions, and communicates with the administration to make an impact wherever possible. In addition, Student Government offers support, funding and advisement for all clubs and organizations as well as any student looking to create a new opportunity for involvement. Each year the SGA hosts an Involvement Fair allowing clubs to showcase their role at Centenary and recruit new members. Comprised of student leaders who initiate student events and activities on campus, the SPB facilitates, runs, and assesses the student activities, intramurals, and community service programs on campus. All programs on campus are student initiated/run and everyone is welcome to join the fun. Meetings are on Mondays at 3pm in the Student Activities Center. STOP is a group of student advocates dedicated to creating and nurturing a campus culture where Substance Abuse and Interpersonal Violence are unacceptable, and where survivors and/or those in recovery are supported. The Student Veteran’s Organization (SVO) at Centenary University was established to bring awareness of the student veteran population to the campuses of Centenary University. Student veterans are non-traditional students who have full-time jobs, families, or other obligations. The main goal of the SVO is to help veterans transition from military to civilian life in a non-military manner, while ensuring their success in a welcoming and appreciative environment. The SVO will actively be involved in the Centenary University community and the greater Hackettstown community and to the service of veterans in need and their families. Centenary University views international education as part of an undergraduate experience. As technology continues to shrink our world, we encourage all students to spend time abroad and/or away in a structured international activity before graduation. Many students have concerns about the costs of studying at another institution. While numerous factors contribute to the overall cost of study in a foreign country, Centenary is committed to making study abroad an option for all students. Centenary offers comprehensive financial aid to eligible students for study abroad costs during the academic year. The Odyssey is a prestigious publication that exists at hundreds of campuses throughout the country. It's a social content platform built out of local communities who share their opinions with a national audience, garnering over 20 million visitors per month. All you have to do is write (on a topic of your choice) one article per week, every week. Don’t miss an opportunity to develop a portfolio of published writing samples. This is a great way to get exposure as a writer! The yearbook staff learns what it takes to cover all aspects of university life in photos and text, and to be involved in the creative and technical side of creating a book. Computerized page layout, theme creation, use of space, color, design, and the selling of ads all come into play, as well as organizational skills and promotion of the book. Students on the Quill staff, in writing for the university paper, become a voice for the student body. The Quill is an across-the-curriculum enterprise. Some of our writers and editors have come from the Political Science, Equine, Business, and Education majors, as have our own Communication majors. Many of our staffers have become inspired by seeing their work in print, work which makes its way into their portfolios in seeking internships and employment. They create feature stories, investigative articles, editorials, and humorous pieces, some of which have won college-sponsored awards. Therapeutic Riding at Centenary (TRAC) is a PATH International - Professional Association of Therapeutic Horsemanship International (NARHA) premier accredited center serving North and Central New Jersey. TRAC is housed at the Centenary Equestrian Center, Califon Road, Long Valley on Schooley’s Mountain. The center serves children and adults with a variety of disabilities from the surrounding area. It also offers volunteer opportunities to local high school students and others interested in assisting riders with disabilities. Therapeutic horseback riding offers a variety of benefits for children and adults with disabilities. English tutoring takes on a whole new form here. All selected consultants are highly trained as a result of taking an intensive 16-week course where they become familiar with the theoretical aspects of Writing Center pedagogy and writing instruction. We encourage students to come prepared to have insightful discussions with consultants about ways they can improve as writers, not just for a given assignment. *If you have trouble getting in contact with someone listed above, would like to add your organization to our list or would like to start a group on campus, please contact your Student Government Association: sga@centenaryuniversity.edu. **Please note that opportunities offered are subject to change.